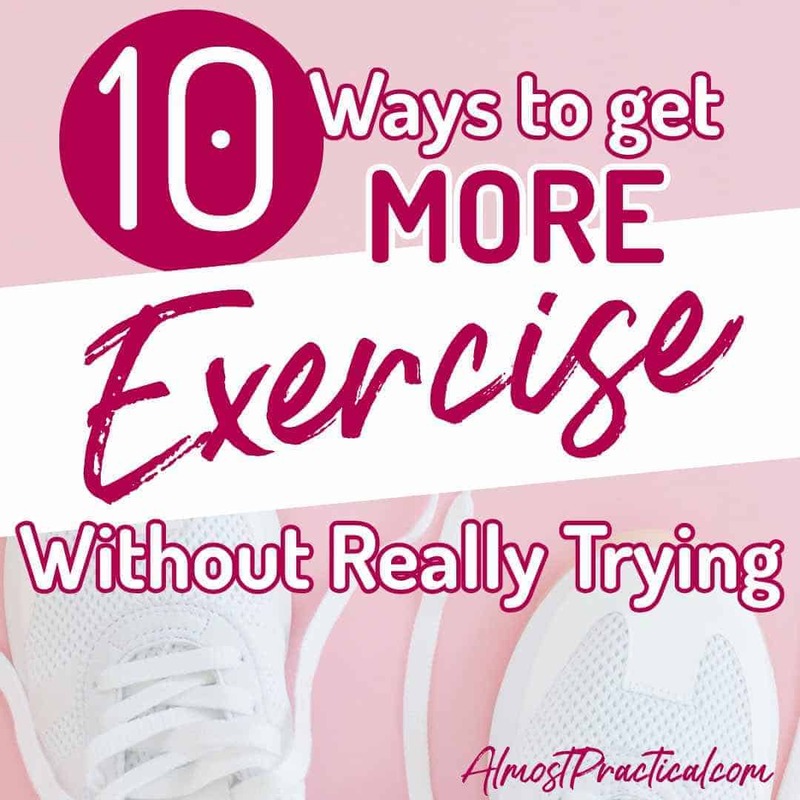 I am always looking for ways to get more exercise without breaking a sweat. Call me lazy, but if I had a choice – the concept of exercise would be banned. I like the way I feel after I exercise. But finding the time and making the effort are really hard for me – excuses, I know. However, it is a necessary evil. No pain, no gain – right? Or shall we say loss? I get it. Exercise is essential for a healthy lifestyle. And once you get into the groove, it really is no big deal. 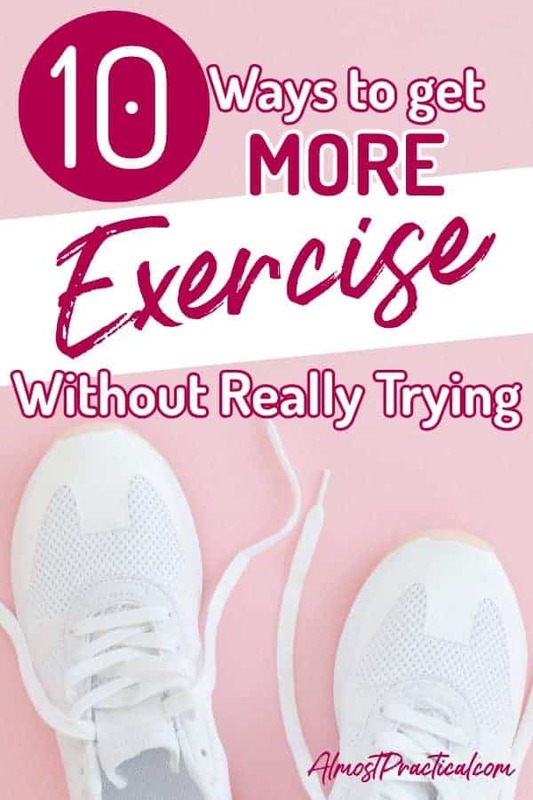 But starting an exercise program is always very hard for me because I am usually extremely out of shape when I start. To ease into it, I have to find ways of tricking myself into exercising without trying. Maybe these tips will work for you, too. I am a Fitbit/Apple Watch addict. From morning till night my Fitbit or my Apple Watch is attached to my wrist. Those devices are capable of so many functions but for now, I use them like a high-tech pedometers. I have a step goal of 10,000 steps per day. And I try to stick to it. If you were to visit me at 11 pm, it would not be unusual to find me running circles around my basement or jogging in place in the kitchen just to hit the 10,000 mark. Don't just take any exercise classes – take only the classes that you love. If you don’t like it – you won’t go. If it is too hard – you won’t go. If it is at an inconvenient time – you won’t go. Are you getting the message here? I discovered a local Zumba class that I just can't get enough of. I love the instructor and have made friends with many of the “regulars”. This really motivates me to get to class even when the weather is bad, or if I am tired, or whatever. I don't go for the exercise (well, I do … but …), I go to see people I enjoy being around and for the class itself. I am no stranger to the “too hot”, “too cold”, “in rush” excuses. But the farther you park, the farther you walk, right? I practice this especially when I go to that favorite exercise class. Don't be THAT person that fights for the parking spot closest to the door to the gym. Same concept as number 3. Skip the elevator and hit the stairs. Wear comfortable shoes as much as possible, so you won't have an excuse not to take the stairs or walk the extra distance. Dress for the weather, too. Sweep, mop, take out the trash. Put the laundry away. Clean out the closet. Keeping your house in good order adds a lot of steps to each day, especially if you have to go up and down the stairs. Cancel the snowplow service and start shoveling but only if you are able – but first, check with your doctor if you have any medical conditions. Shoveling heavy snow in freezing temperatures is harder than you think. It is good exercise if you are physically able to do so in a safe manner. Rake the leaves, weed the garden, mow the lawn. All of these are calorie burning activities. Fido will love you for it – and it will keep him (or her) fit too. If you have a gym membership or a home treadmill get a book rack and read while you walk. And don’t feel guilty for not running. Walking is better than nothing. Now that I have accepted that walking is ok – I use the treadmill so much more often. Turn up the volume and dance to your favorite song. Dance like no one is watching – now you know what that means. And don't pay attention if your kids make fun of you. Instead of sitting on the couch do some repetitions with hand weights, do some ab work, or do stretching exercises. Believe it or not – each little thing counts. What do you do to squeeze more exercise into your daily and weekly routine?